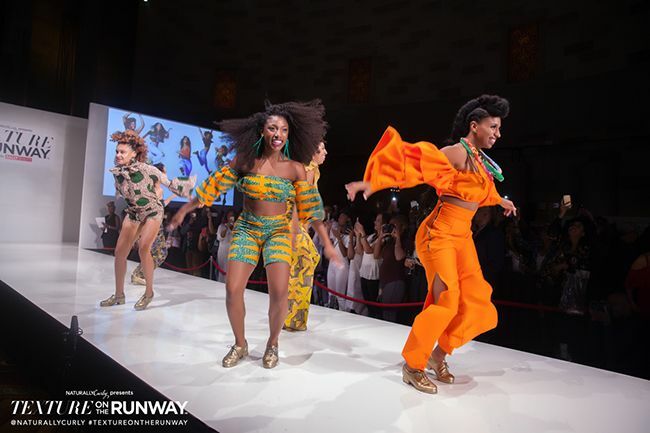 Powered by Sally Beauty and presented by Naturally Curly, Texture on the Runway is a platform that encourages the visibilty of textured hair in the fashion industry during New York Fashion Week. 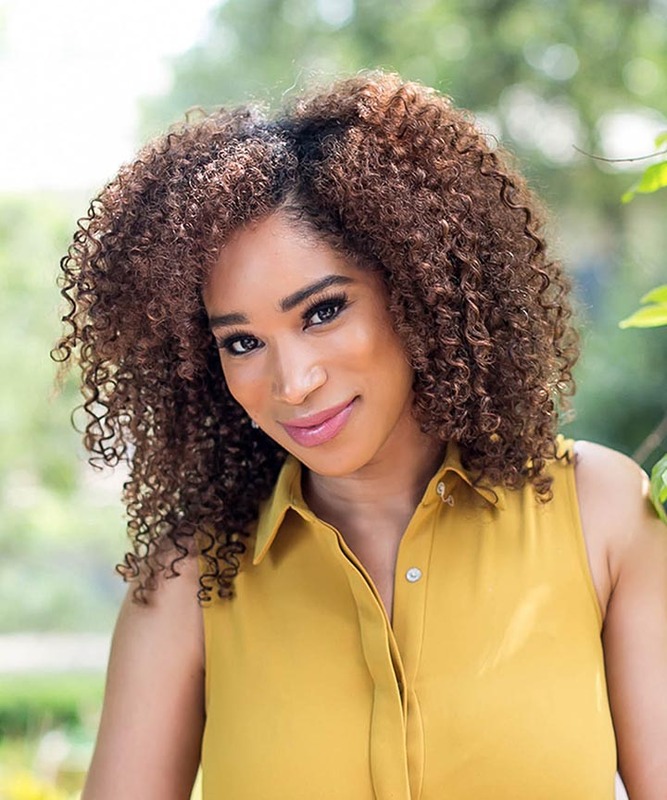 With 6 brands presenting lines this year, I had the pleasure of working with Cantu beauty to discuss all things curls and coils, and how their products cater to all members of the family. 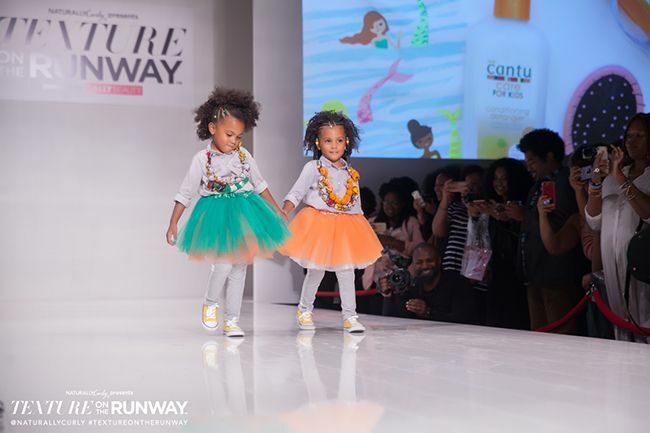 Opening up for Texture on the Runway 2017, Cantu Beauty came to set it off with a showstopping performance by the Syncopated Ladies, viral sensation Team Twins, and the cutest little curlies ever, The McClure Twins. Brand Ambassador and Lead Stylist for Cantu Beauty, The Maria Antoinette, took us all on a trip as the emcee for the night, where Cantu featured protective styles for women, men, and kids. 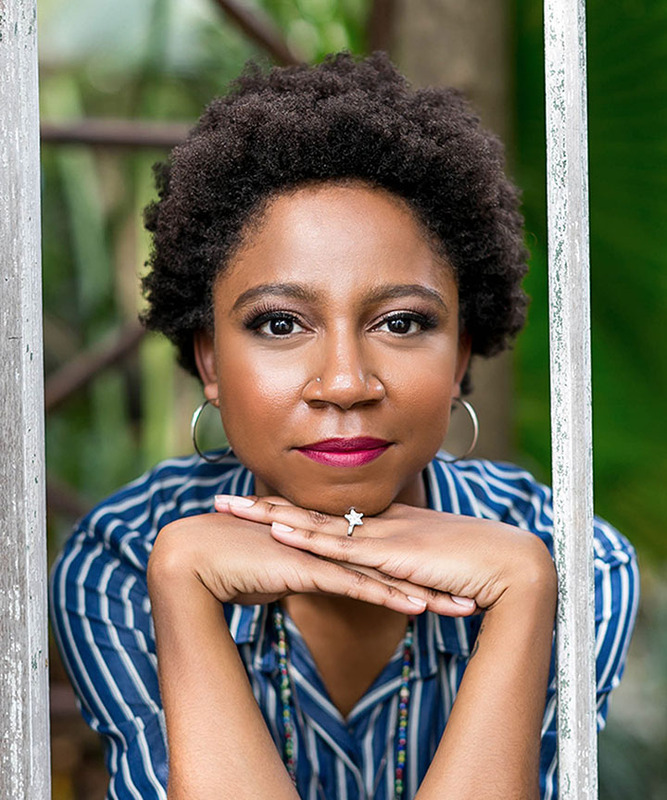 With the inspiration of curls on vacation, we sat down before the show to discuss some of the styles she created, the versatility of Cantu's products, and how Cantu is a brand that is here to stay. Lauren Murray: Thank you so much for sitting down with me! I am very excited to work with Cantu this year as it was one of the first brands I used went I went natural in 2012. 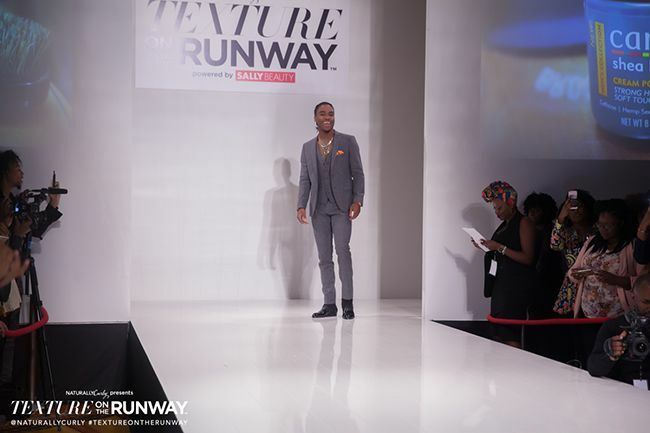 Can you tell us about some of the looks you're styling for Texture On the Runway? Maria Antoinette: Everything is about everyday styling with an edgy runway appeal. We wanted to make sure everyone felt inclusive and we wanted everything to be realistic. For instance, for our Cantu Men's Collection styles we wanted to go from everyday to boardroom, showing the diversity of styles possible with the product line. LM: What was your inspiration for the looks you came up? How did you decide which styles to showcase? MA: Once we came up with the theme, the styling came natural to me. I wanted the styles to be very detailed and take the personality of each of our models. I thought about trips I’ve taken in the past, tropical, fun, exciting, vacation! 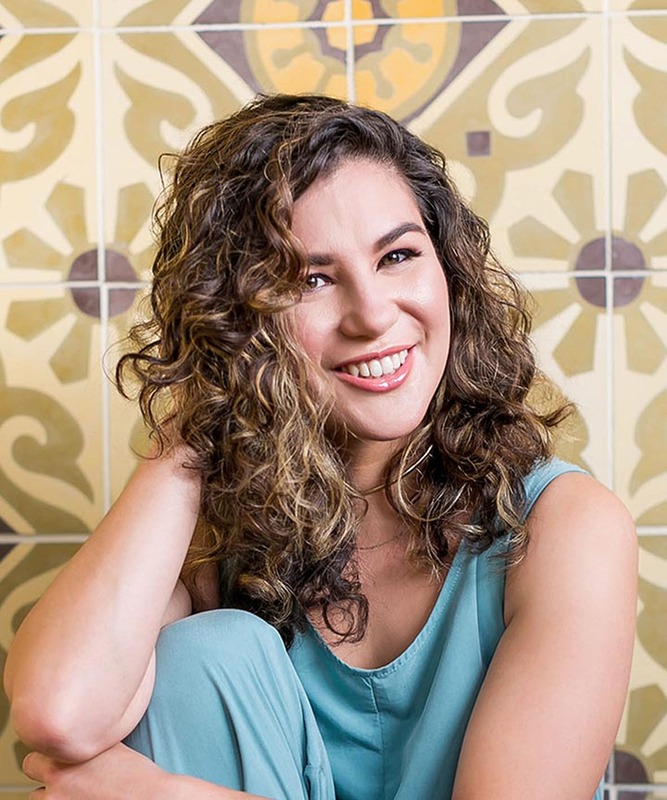 With the Syncopated Ladies for instance, you have a ton of movement, and it's very important that when you want to do curly styles that you build in curls that can withstand that movement. So I’m using a tiny wand curler. 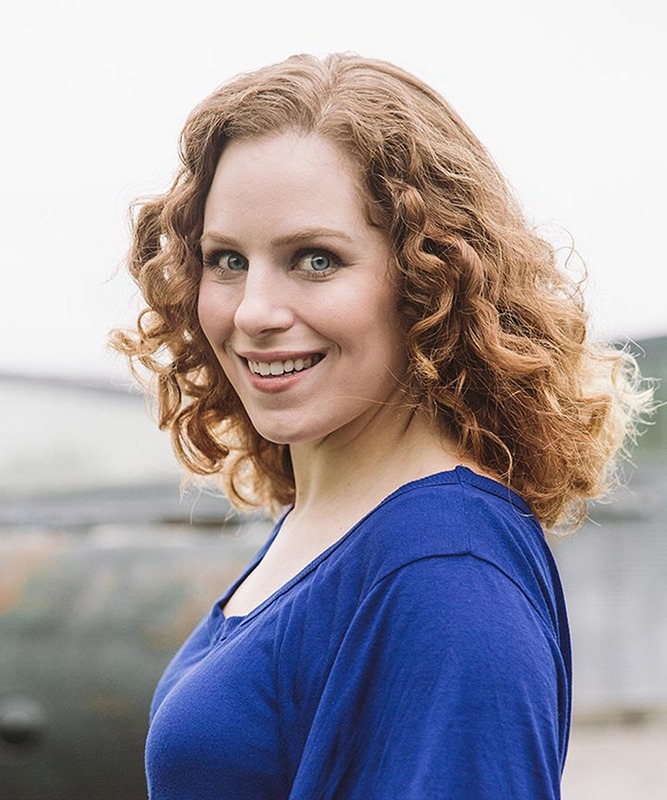 With wand curls, you let them set in the same way that you curl them. Literally, it's chemistry. When you use heat you are breaking ions [in the hair], and when the hair cools, [those ions] reconnect and stay in that shape. So basically we are setting her hair. When we take these down and separate them, they will have more longevity with their curls. 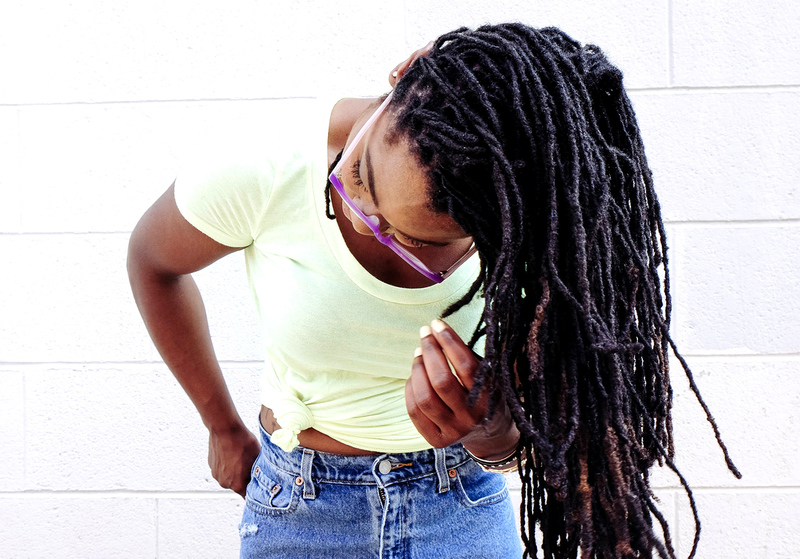 LM: What Cantu products are you using on the Syncopated Ladies? MA: I am using the Thermal Shield and I am also using our Anti Frizz Smoothing Oil which contains argan oil. It's amazing and super lightweight with a heat protectant built in, so you can use it on top of your other products and that's it! LM: Can we talk about the men's line? What are you using on the Team Twins hair? What ingredients does it have in it? MA: The men's line is functional! We have a 3 for 1 in the men’s line! It's a shampoo, conditioner, and body wash. I used it on of our male models today, and it is amazing. It's literally a one stop shop. One product and they were done. It cleanses your hair, cleanses your body, and of course it has a moisturizer in it, so it conditions the hair as well as well. It has some pretty amazing ingredients in it as well, such as willowbark and caffeine. Cantu really went all in. Willowbark gives you strength and shine and promotes healthy hair growth, whereas caffeine promotes scalp stimulation. It's great for beards and things like that, and it's good for women too because it stimulates the scalp and increases the blood flow causing more hair growth. LM: And if you really wanted to use just that product, you wouldn’t need to use anything else? MA: Well, that's what it is. It’s perfect to throw in the gym bag. It’s ideal, because men tend not to do a whole regimen. LM: Can these product lines be used interchangeably? For example, men use women's line? women use men's line? MA: That’s the beautiful thing about Cantu. We have something for men, women, and kids! I find myself using the Cantu Men's Beard Oil as body oil because the product is that great! The ingredients are amazing and the formula is non-greasy and includes hemp seed oil and tea tree oil. LM: With kids there is a lot of movement also, so what products did you use for the twins? MA: We used our kid's line for the girls. It is totally sufficient. We have a cream as well as a styler, and that's the combination that everyone should be using. You have to start with your cream and then your styler. Some people don't need a cream because they use a leave-in, but you definitely need a styler. That is your holding agent. I always tell people to think back to your relaxed days when you had a roller set. Your stylist put a wrap foam on there, so you still need something to hold your hair. And we have that in the kid’s line. LM : Can an adult use the kid's line? MA: For the McClure Twins, we focused on using products from the kid's lines that would be easy on the girls' curls. Cantu has a detangler conditioner in the kid's line that is amazing. The women's line has one too called the Coil Calm Detangler, but I use the kid's and women's interchangeably between whichever is left in the house between my son's products or my products. Cantu is the perfect brand for the family and for those who are looking to buy all of their products in one stop. 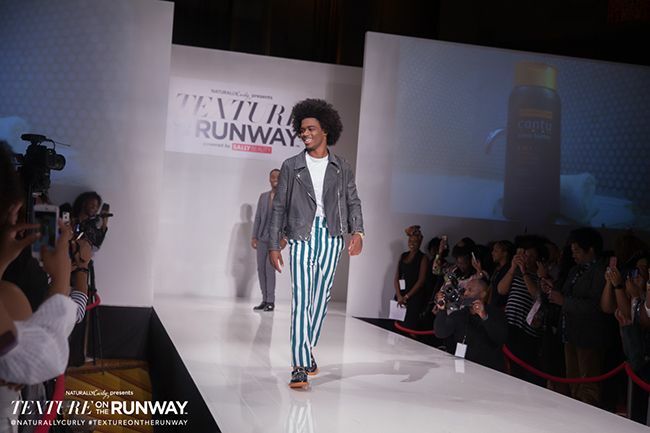 Also, by featuring the only male models in the Texture on The Runway show this year, Cantu also recognized a key consumer in the natural hair movement: Men! 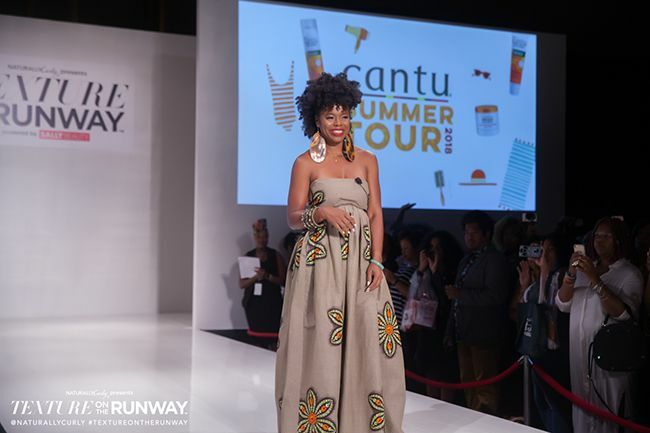 As we journeyed through their vacation theme this year, Cantu showcased the diversity and flexibility of their products, noting that "Each category has its own line of products, but they can all be used interchangeably based on need." 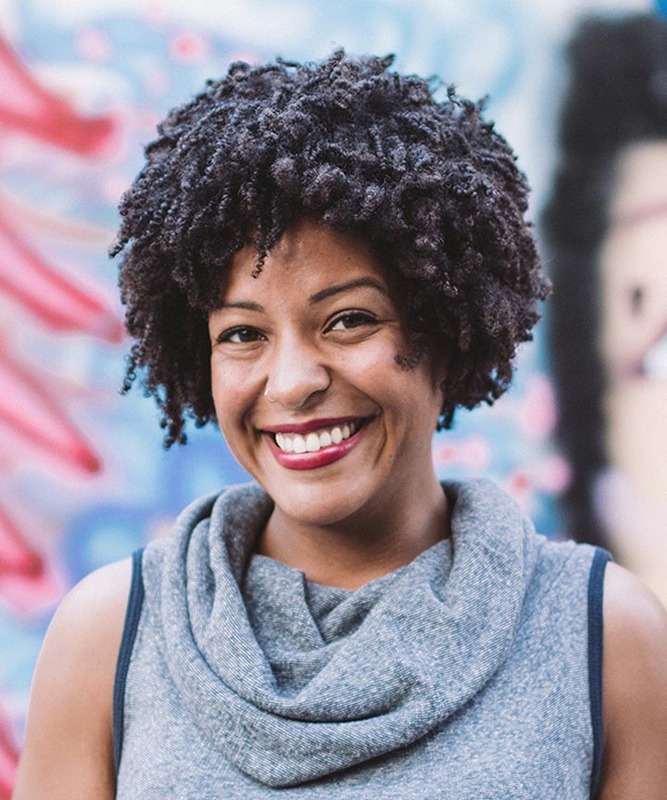 Finally, Maria Antoinette offered up some lasting words of advice for all our curly families out there on how we can continue the curl & product conversation. 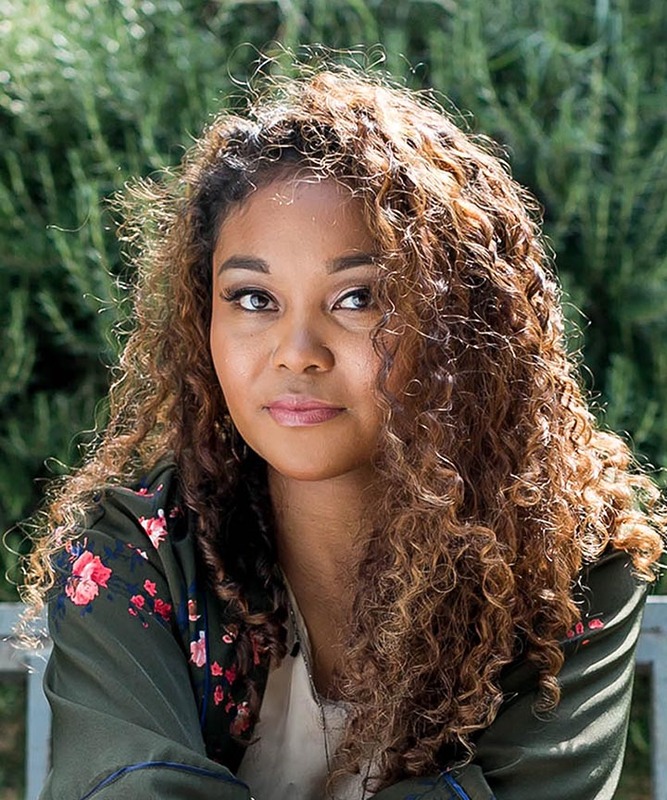 LM: How can we encourage other brands and stylists that curly hair education is important in the world of natural hair care? MA: We need to keep pushing healthy hair is good hair. It doesn’t matter the texture or type. 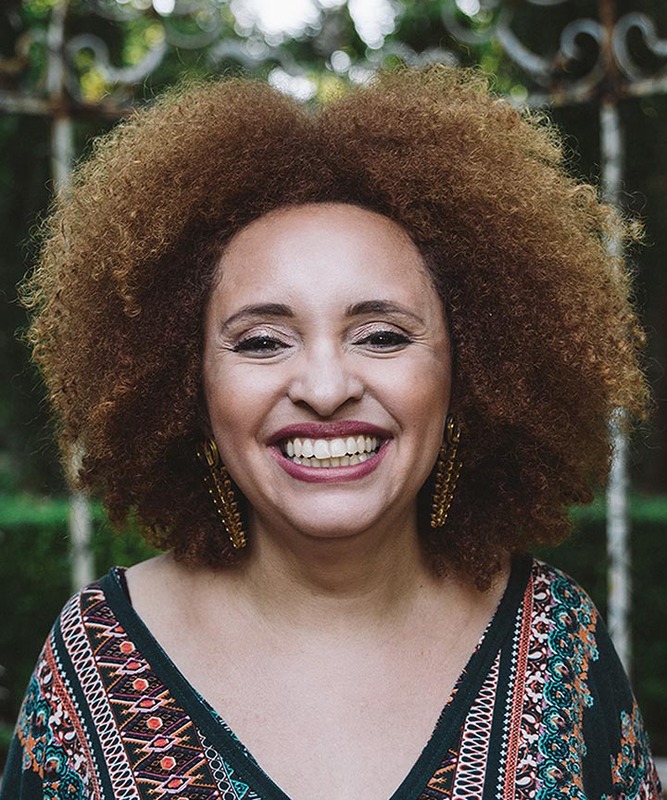 Educating fans, followers, supporters, and consumers on what products work for their hair type will always be most important to Cantu and should be to other brands and stylist as well. LM: Are there any tips you're using on the models today that our readers can try at home? MA: Of course! Make sure you’re using a heat protectant for any blown out styles and Cantu’s Edge Stay Gel lay those edges. Two tips that’ll take your hair styling to the next level! 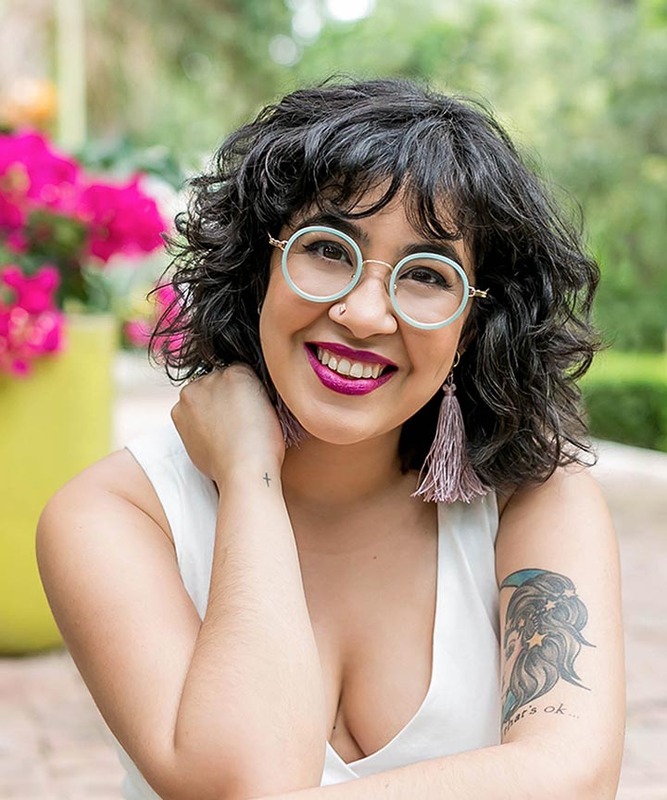 Thank you Maria for sitting down with me and duscussing Cantu! Stay tuned tomorrow for even more event coverage from Texture on the Runway 2017!